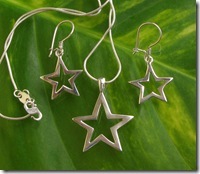 We have no choice but to raise prices across the board on our wholesale silver jewelry. If any of you have been following silver pricing over the past year, you’ll have found that silver, like gold has risen steadily in value — I guess the precious metals are a safe bet during times of economic instability. Long story short, silver itself has doubled in value (or more) since this time last year — head over to kitco.com for the silver history charts if you need more details. We’re not doubling prices but it’s a fairly steep increase all the same — as much as 20% on certain items. Like everyone, we’re doing our best to keep prices down. 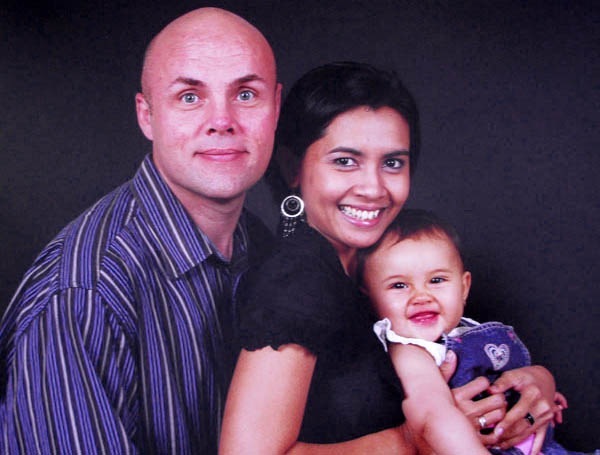 Usually, at this point, We say, “Enjoy” but it doesn’t seem right today. We’ve finally organized, itemized and inventorized our jewelry stock and we invite you to take a look at everything that’s in stock and available to ship at the drop of a woven sun hat. 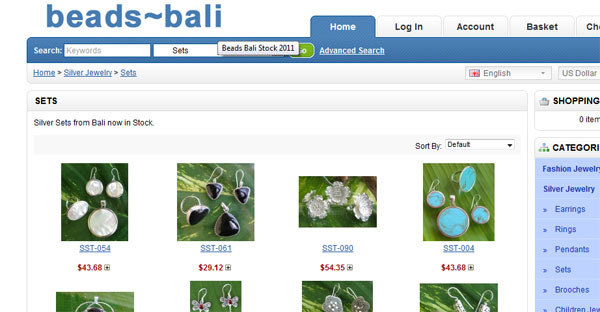 Prices are wholesale and there are no minimums for Beads Bali customers. 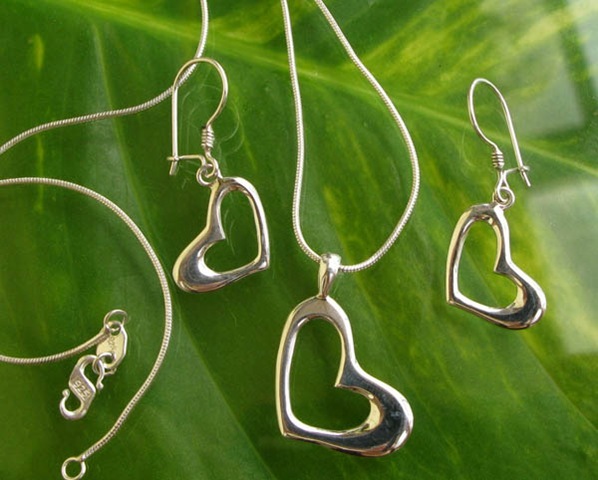 Elegant .925 sterling silver sets distinguished by the silver ‘lace’ detail applied by hand and soldered onto the solid silver disks — each piece is made by hand, one at a time and is unique. Each set takes hours of careful fingerwork. 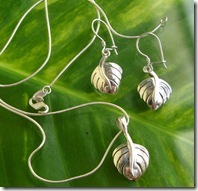 Update: February 28th, 2011 — we have handmade silver jewelry sets in stock — please go to http://www.beads-bali.com/stock/wholesale-silver-jewelry/silver-sets-bali-wholesale for more details (link opens in a new tag or window). 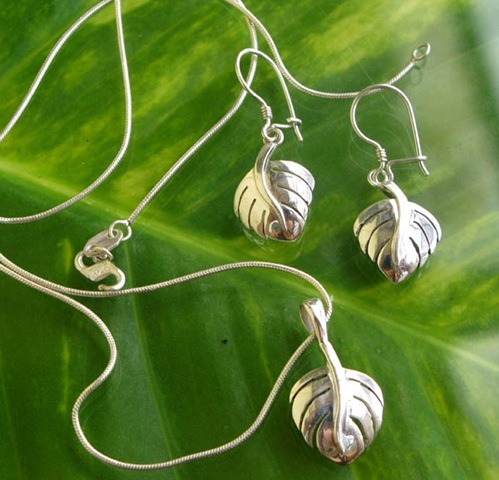 Each set comprises a matching solid silver pendant, silver earrings and adjustable silver ring inset with mother of pearl, turquoise, black shell or red coral. 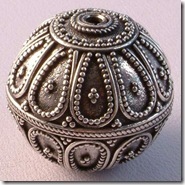 For large volume orders, please contact us directly at info@beads-bali.com. 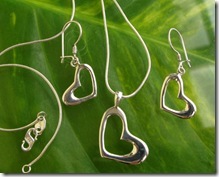 All of our silver jewelry is handmade in Bali and is .925 quality (stamped) sterling silver. Each item is individually weighed and inspected before shipping. We guarantee our products – if you’re not fully satisfied with your purchase, we’ll make arrangements to return the items for full credit. Production time on most orders is two weeks. Shipping is by courier. 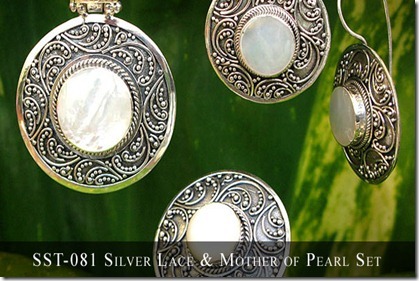 The use of Mother of Pearl for decoration and jewelry dates as far back as 4000 BC. Traditionally, it is given as the 30th wedding anniversary gift (symbolising love, fidelity and friendship) and is the birthstone of June. 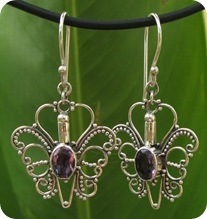 Do you like butterfly or dragonly? We do have some collection of pendants, broches and earrings with different insert from Abalone or Pawe Shell, Mother of pearl or semi precious stone like Garnet, Topaz, Peridot etc. 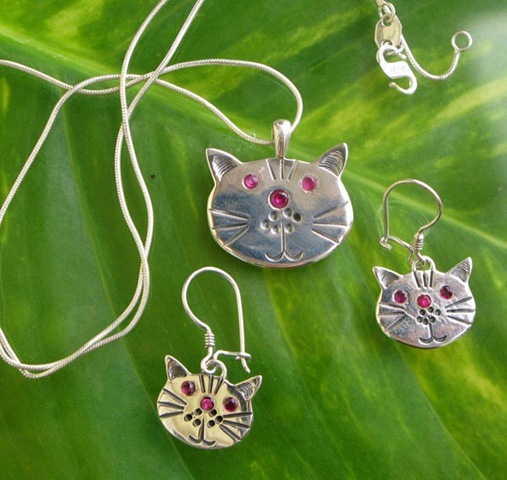 All our Silver Jewellry are handmade here in Bali, meaning any custome order are welcome that’a also mean any of you who would like to transform your favorite animals to be beautiful jewellery, will be happy to be part of it. 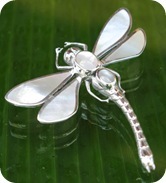 Finaly they are finish, first batch of Children Silver Jewellery from Beads-Bali. 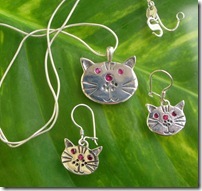 Cute design from Ducky, Cat, Butterfly, Leaf, Heart, etc. 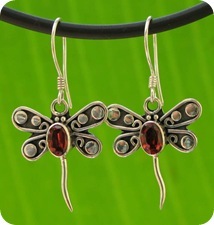 Available on Sets of earrings, pendant and necklace, Pendants with necklace and Earrings. All earrings made with close hook so it’s safe and comfortable for our kids. 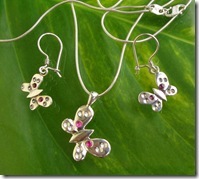 Beads-Bali present Star Signs Pendants insert with gemstone from peridot, garnet, topaz and amethyst. Also available new leather knot necklaces with silver clasp, available in blue, purple, red, light blue and black. Don’t miss also our New product for March 2009. 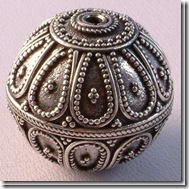 Bali Silver Beads & Findings – No more pack or minimum order per motif. In other words, you are now free to pick and combine any beads and findings you like: no minimum per motif, size or model. One is enough. Happy New Year: we hope you had a great holiday season. 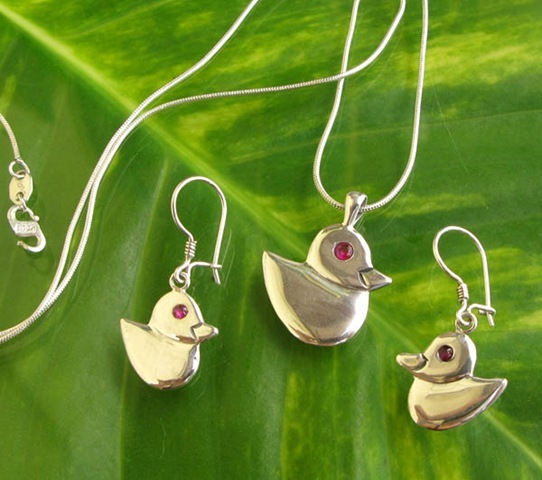 We probably told you late last year about the birth of our daughter Sophie but if you missed that little bit of news and you have the time, please pop over to Sophie’s website to see the newest, most beautiful jewel in our collection. Now, Sophie is nearly 4 months old and we are slowly getting back to thinking about business. 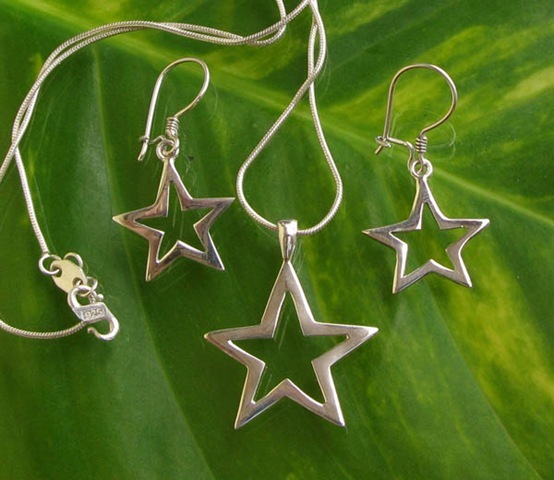 With that in mind, we’ve started production on two new categories: Star Signs and Kids’ Jewellery — both lines will focus on pendants & earrings. We hope to have moved out of the sample stage and into production around mid-February — we will keep you posted. And, in the meantime, if you have any ideas of your own, now is the time to tell us. 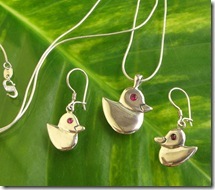 Earlier this week, we added more Silver Jewellery Sets, Pendants, Earrings, Bracelets & Rings. Finally, we know that 2008 was a tough year all around in terms of sales and the economy but we feel positive about 2009 and we’re ready to work harder and smarter.